The Capitol is a part of Delhi’s history. Let us be a part of yours! The Capitol Theatre was built in 1933 and was a focal point in the community for close to 40 years. 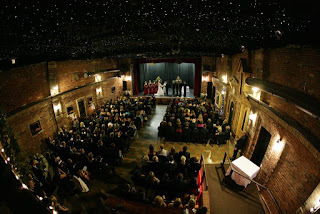 Converted back into a theatre, this historic building reopened in 2008 and is now known as Backstage Capitol. Beauty is in the detail and at Backstage Capitol we have taken great care to design Delhi’s most stunning wedding venue offering a new experience of style and elegance for your wedding reception or ceremony (or both!). 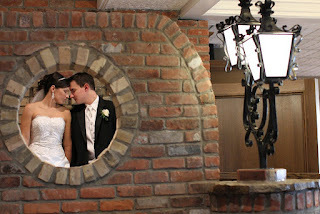 Exchange your vows on the stage where all your guests will have an unobstructed view of your ceremony or have it in the lobby for a more intimate affair. 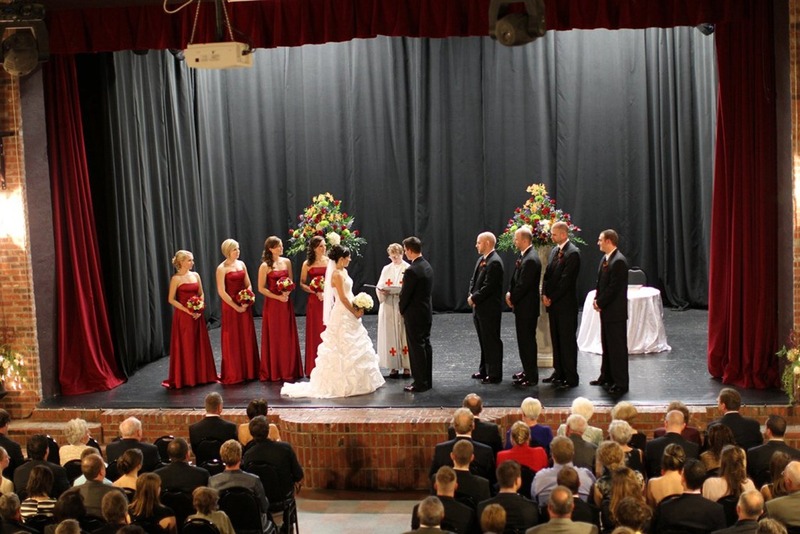 Our unique setting allows a wedding ceremony and reception to be held at the same venue. Your guests can enjoy your special day without having to drive to separate locations! The picturesque element of our venue serves as an exquisite backdrop for capturing one of the most memorable days of your life. Discover the style & versatility of our one of a kind special events venue at the Backstage Capitol. With two exclusive, multifunctional spaces - The lobby and the main hall - we offer the perfect setting for your reception. The dramatic theatre style of the main hall can be made to suit a variety of needs. Tables can be arranged in various ways for a plated dinner, buffet, or mixer. The interior of the main hall gives the patrons the illusion of sitting in an outdoor courtyard, under a night sky with twinkling stars. Dance the night away under the stars! Be the Star of Your Wedding! 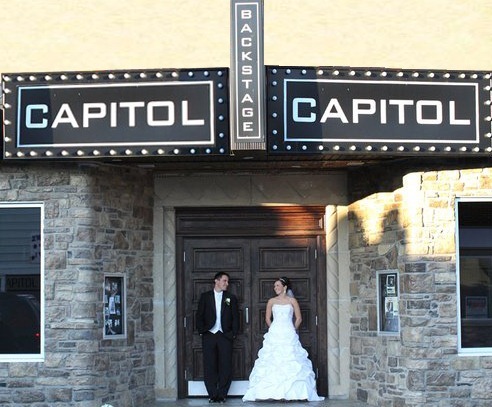 Take advantage of the historic ambiance and modern equipment at Backstage Capitol to shine the spotlights on you. Make your big screen debut when you show your own video or slide show on our movie screen or 4 wall monitors. A performance stage and state of the art sound and lighting will create a party your guests will never forget. Our sound system is set up to accommodate live music or our house DJ. Get married like a celebrity and be introduced in style when the red curtains part! 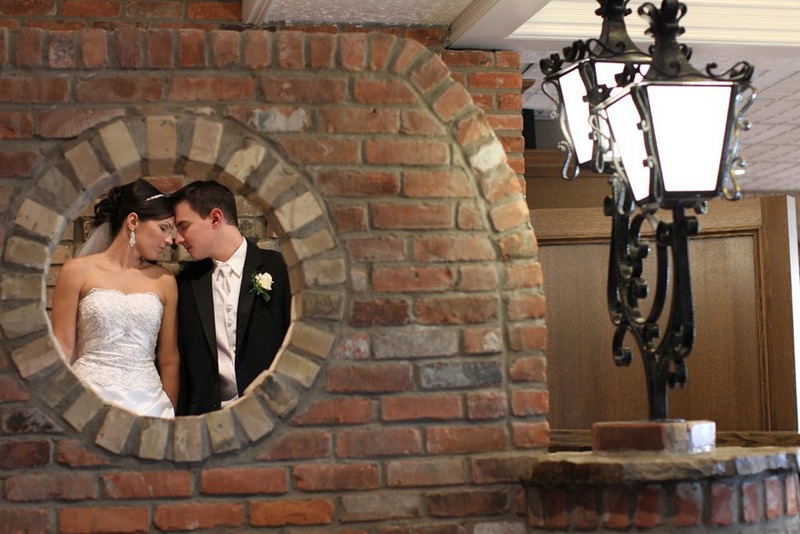 Worried about the weather not cooperating on your special day? 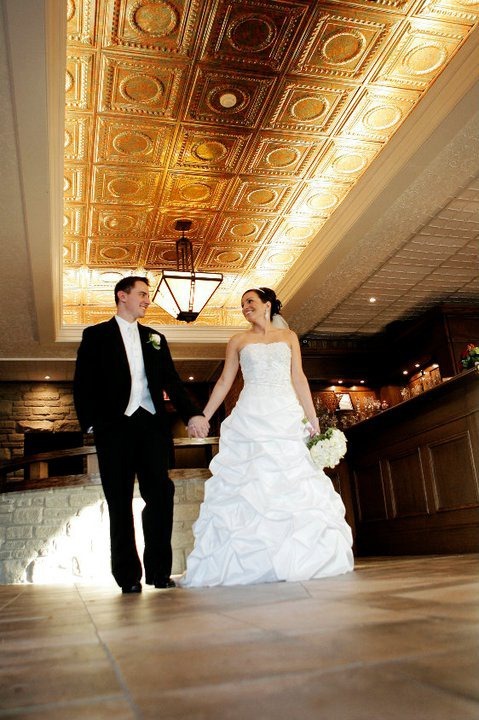 Our stunning & distinctive interior provides the perfect backdrop for your wedding photos. Classic, elegant and picture perfect!